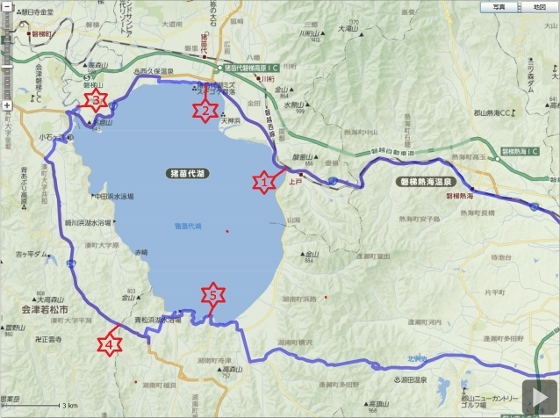 Today, since weather forecast said no rain throughout the day, I pedaled around Lake Inawashiro from Koriyama and returned back. Some of the views on the way were shown below. First, above photo shows the view from Johkohama Beach on the east shore. The location was red asterisk 1 in the map. 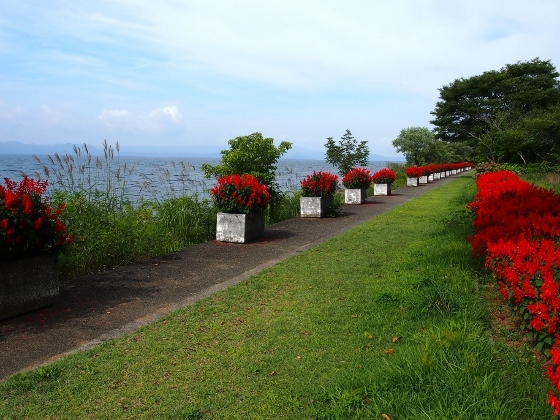 Next, I entered the cycling road on the north shore from Hakuchouhama beach. 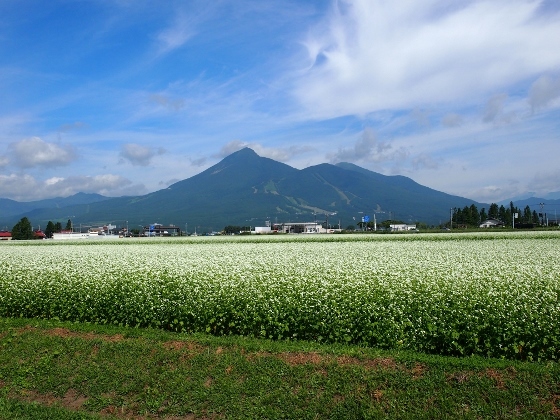 There, I could see beautiful buckwheat fields with the white flowers in full bloom and with Mt. Bandaisan in the background as shown above. The location was red asterisk 2 in the map. 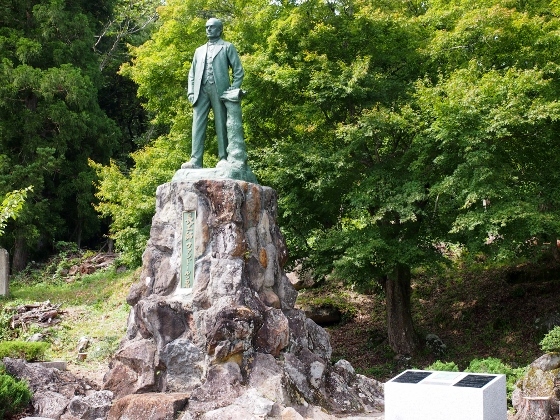 The next was a bronze statue of Cornelis Johannes van Doorn located near the north eastern shore of the lake. 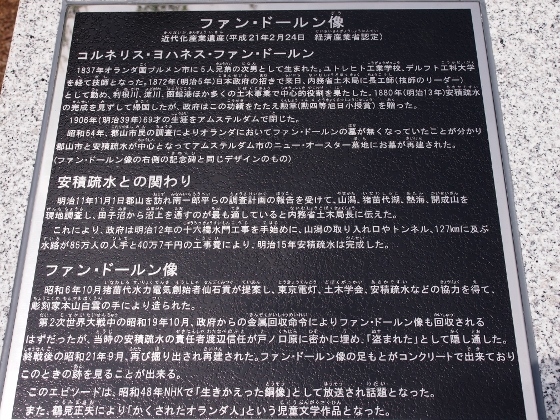 He was a Dutch civil engineer who directed civil engineering of Asaka Canal through which water of Lake Inawashiro flowed all the way to Koriyama City thus contributed much to the development of the city. The location was red asterisk 3 in the map. 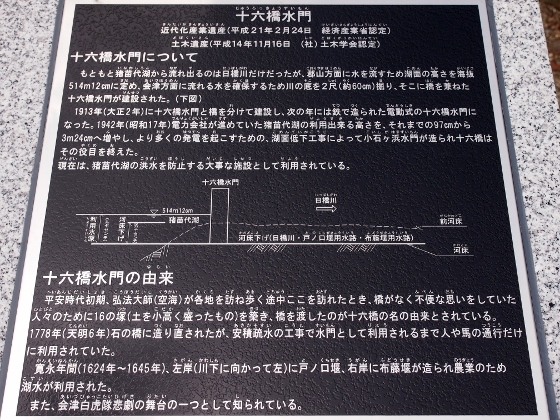 Above photos show Jurokukyou Water Gate which means water gate made of 16 bridges. 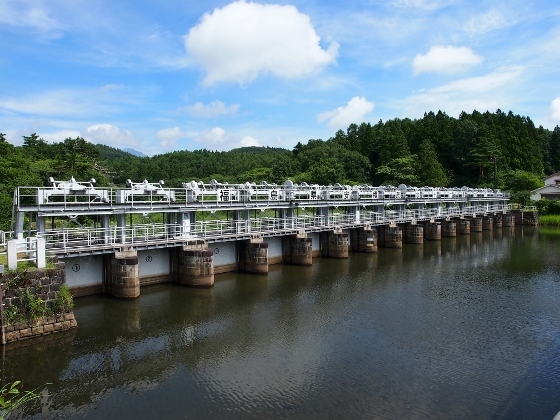 This water gate was necessary at that time for keeping enough water for Aizu even if Asaka Canal drew water to Koriyama. 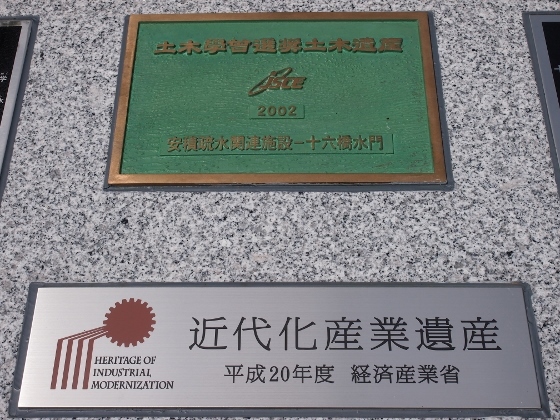 The water gate was declared National Heritage of Industrial Modernization. The gate is also located at the same asterisk 3. 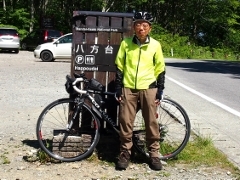 This time I could not visit west shore such as Nakatahama Beach and Sakkahama Beach due to road works during Sept. to Dec.
On the way to the south shore which was the area of Konanmachi of Koriyama City I had to pedal through Kuromori Tunnel as shown above. 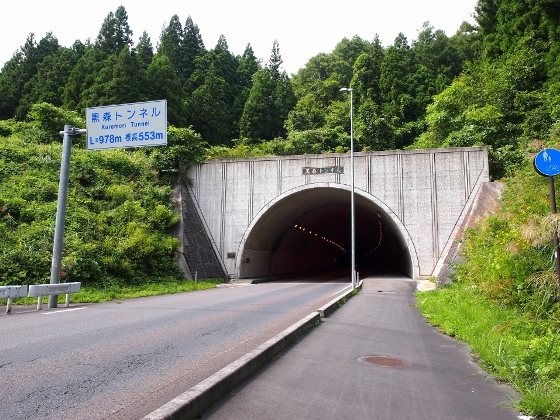 This tunnel had spacious side lane for bikes and pedestrians as shown in the picture thus I felt much safer. The location was red asterisk 4 in the map. 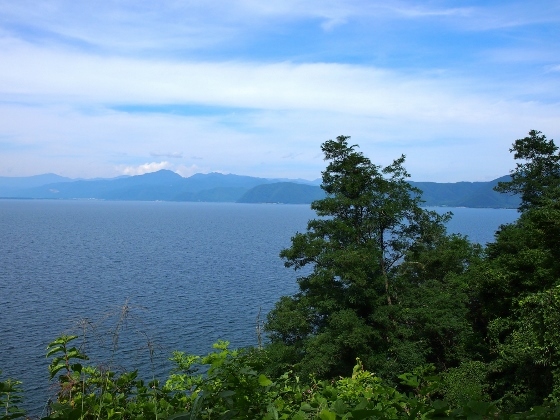 At last, above photo shows the view of Lake Inawashiro from Funatsu area of Konanmachi. The location was red asterisk 5 in the map.